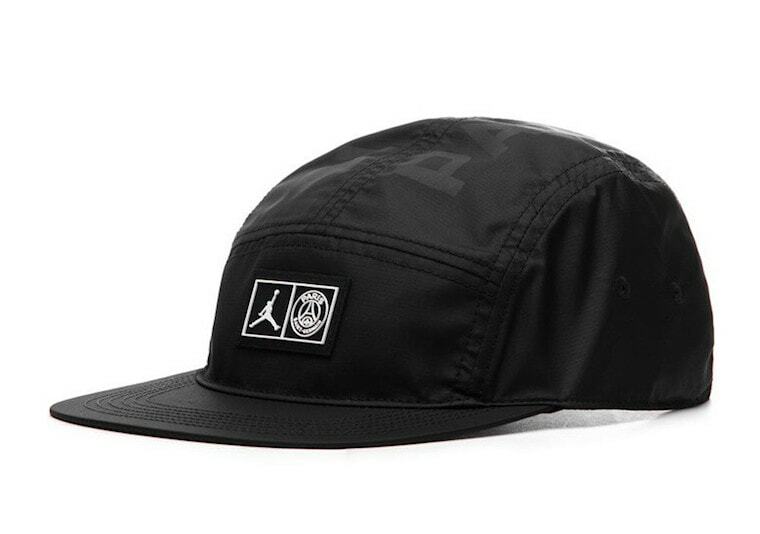 The Air Jordan 5 is one of the most popular silhouettes from Jordan Brand. With so many recent retros of other fan-favorite Jordans, collectors of the 5 are anxiously awaiting the next hot release, the Air Jordan 5 “PSG”. Jordan Brand has an odd history of working with soccer players. 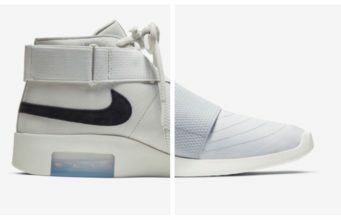 While the brand’s influence in the United States is largely limited to basketball, football, and sometimes baseball, a soccer-themed release is almost unheard of. However, that changed last year when Nike athlete Neymar Jr. released his original take on the Air Jordan 5. Describing it as his favorite Jordan model, the Brazillian football star introduced Jordan Brand to a whole new market. Now, Michael Jordan’s reach is extending to take over the world’s most popular sport. 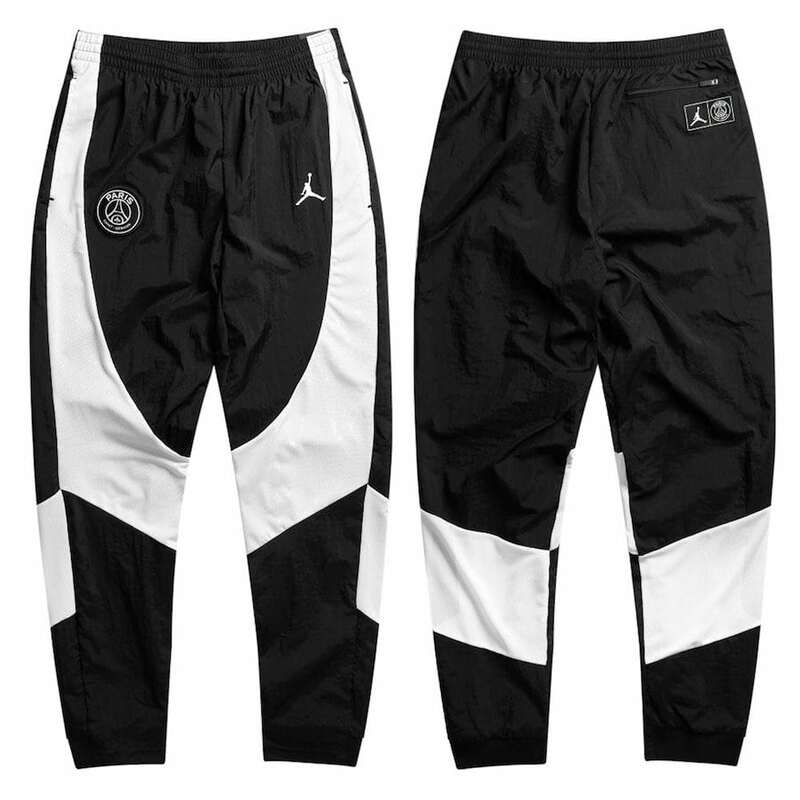 The first foray into the football world from Jordan Brand retains it’s ties to Neymar Jr, though this time without actually using his name. 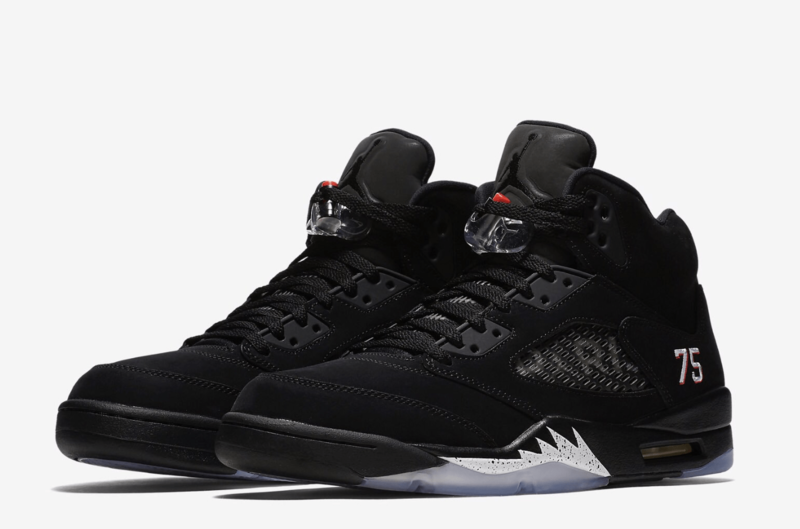 The Air Jordan 5 Retro “PSG” is made for the brand’s upcoming international “City Pack”. This pair pays homage to France’s legendary Paris Saint-Germain Football Club. Founded in the 1970’s, the team has been a powerhouse in the Champions’ league, especially with the recent assistance of Neymar. 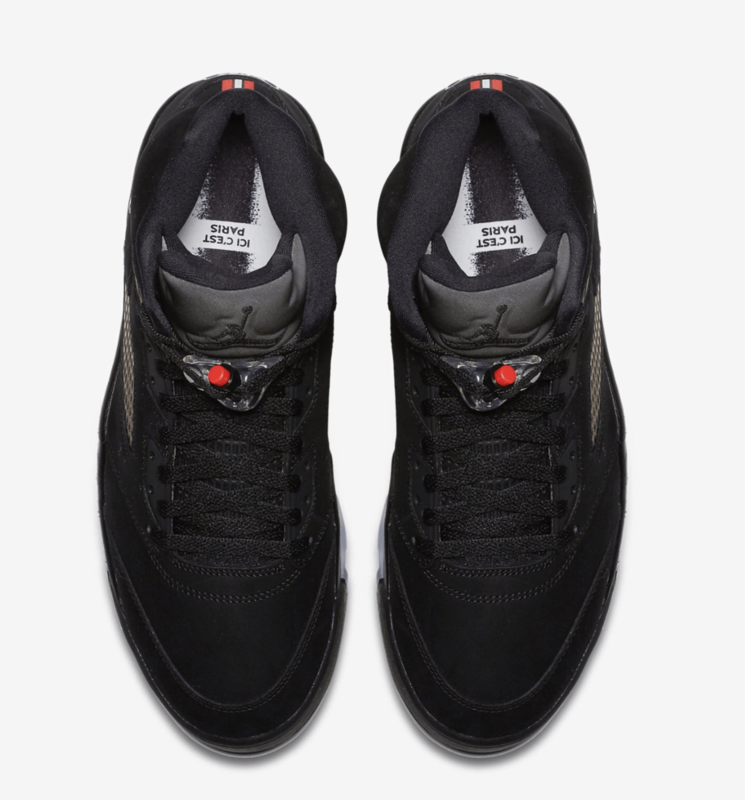 The new Air Jordan 5 “PSG” begins with a beautiful black suede base for the upper. Most of the shoe is constructed to match the main color, but for this limited pair, the devil is in the details. 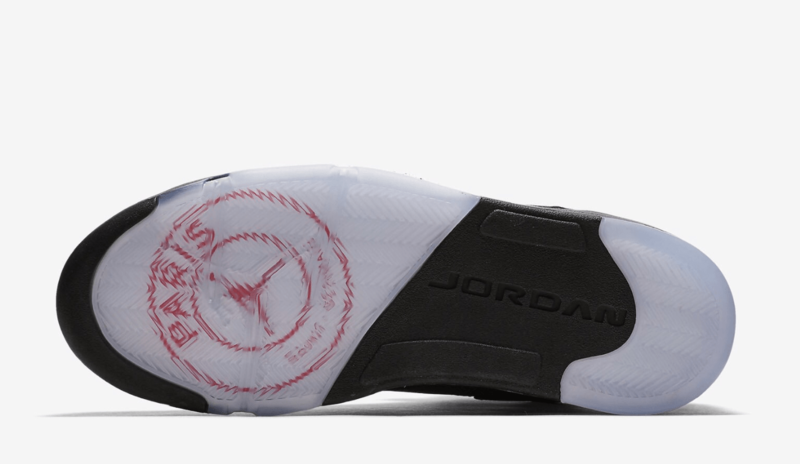 Underneath the Jordan 5’s signature mesh quarter panels, the word “PARIS” can be seen, featuring the Jumpman logo in place of the letter A. Next, the club’s famous logo adorns both heels of this special pair, matching a red and white pull tab just above. 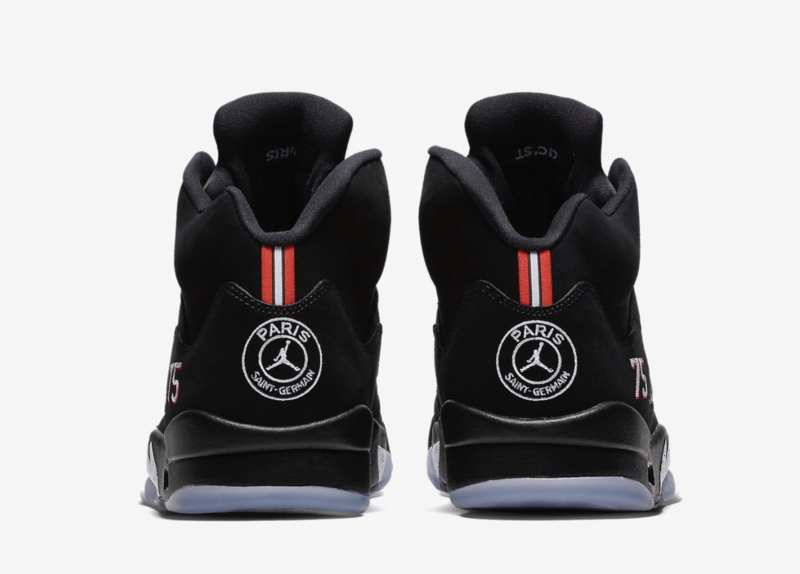 Finally, the Air Jordan 5 “PSG” is completed by a number 75 on each lateral heel, as well as Paris Saint-Germain branding on the interior of each tongue. The PSG x Air Jordan 5 is now scheduled to drop on November 3rd, 2018. 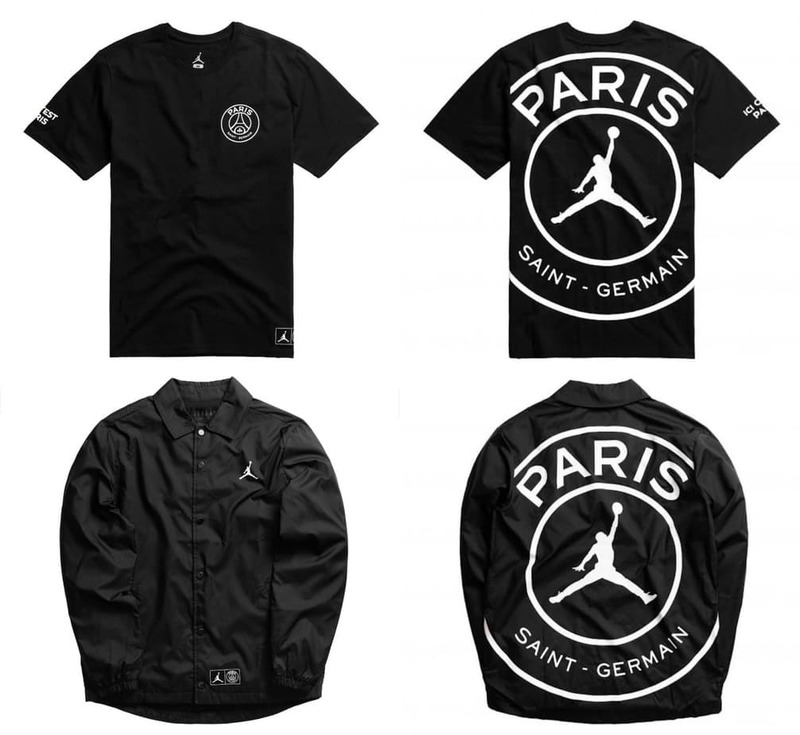 Additionally, the shoe has been revealed to be dropping with a large collection of Jordan x PSG apparel. 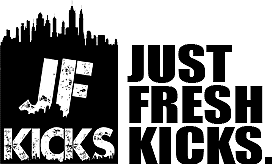 Check out the official images below for a better look at both the shoe and clothing, and stay tuned to JustFreshKicks for a specific release date.